Flannel Nightgown - As summer draws to a close and the nights become chilly, intimate apparel aficionados and newbies alike agree that nothing compares to the soft coziness of flannel sleepwear. From cushy long nightgowns and sleep shirts to snuggly pajamas and plush robes, flannel is one of the best sleepwear options for keeping you warm when the temperature drops. You don’t need to spend a fortune – Despite what you may have heard or read in magazines, flannel sleepwear is affordable and attainable for everyone. As is the case with lingerie or sleepwear shopping, finding the right flannel nightgown is all about researching and uncovering the shops with the best selection for your budget. Not only do larger shops and department stores tend to have a wider selection of sleepwear styles, they also offer great savings throughout the year with heavily discounted out-of-season styles, coupons, flash sales, etc. 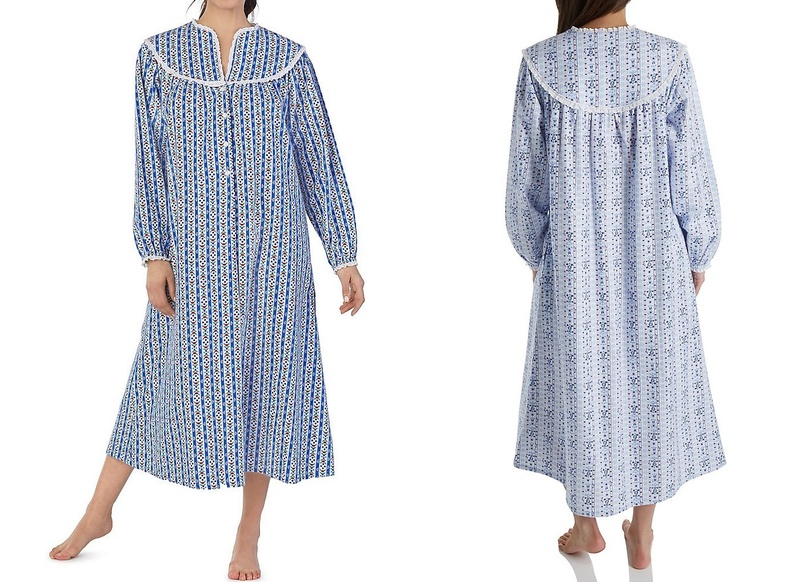 If you want to spend a little more on a luxurious flannel nightgown, try smaller lingerie boutiques and online sleepwear retailers that offer specialty brands like Lanz of Salzburg, Thea, P J Salvage, and Eileen West. There’s a nightwear style to suit your silhouette – one of the best things about flannel nightgowns – no matter what your shape, size, or the occasion, there’s a flannel nightgown style that's perfect for every silhouette. There’s a popular misconception that these nightgowns only look good on tall, thin model shapes, but this simply isn’t the case. Flannel sleepwear looks great on everyone. With a wide variety of styles, colors, sizes, and options available, it’s easier than ever to find the perfect cozy warm that you can enjoy for years to come. 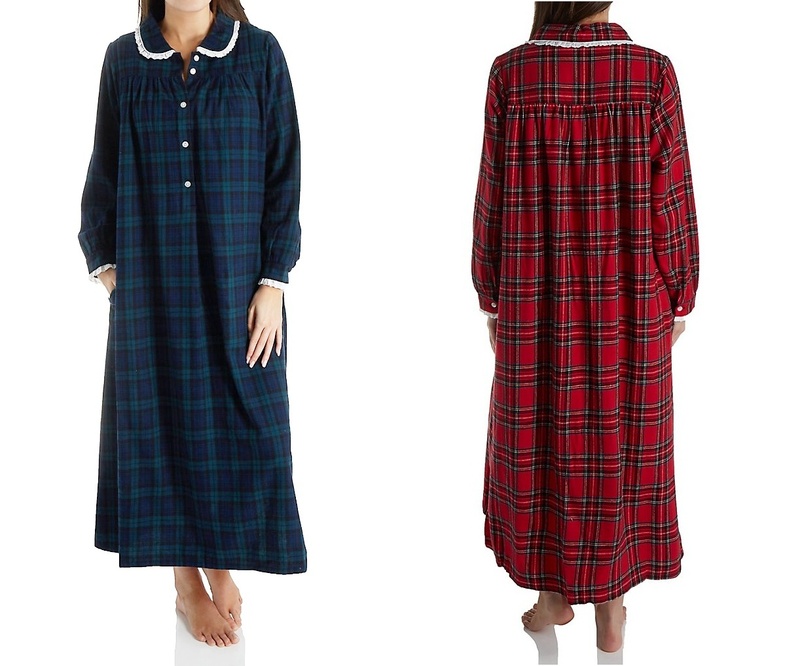 If you live in a region where the winters are bitterly cold, consider pairing your flannel nightgown with a matching wrap robe and a cuddly pair of slippers or sleep socks for extra warmth. 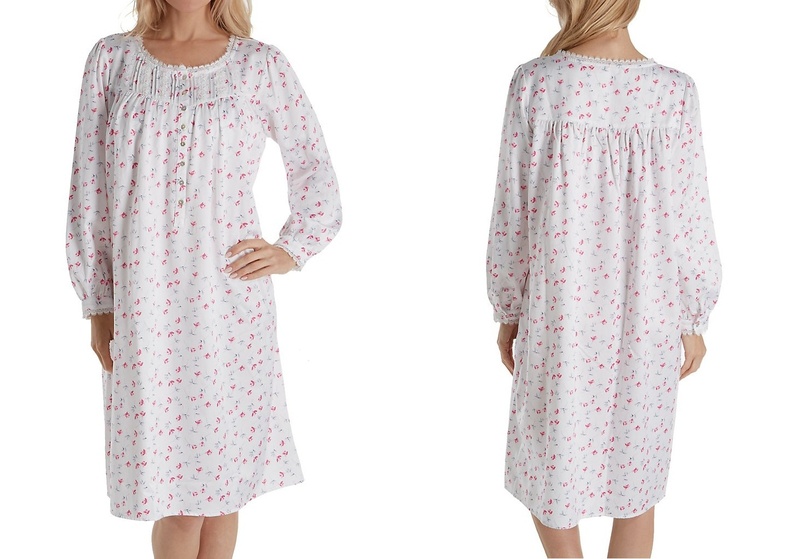 Flannel Sleepwear is not just for winter months – Without a doubt, a long sleeved, full length flannel nightgown is toasty warm for the long cold winter months, but did you know that flannel can easily translate to warmer nights as well. It can, and the trick is choosing the right flannel sleepwear fabric that lends itself to all seasons. How? 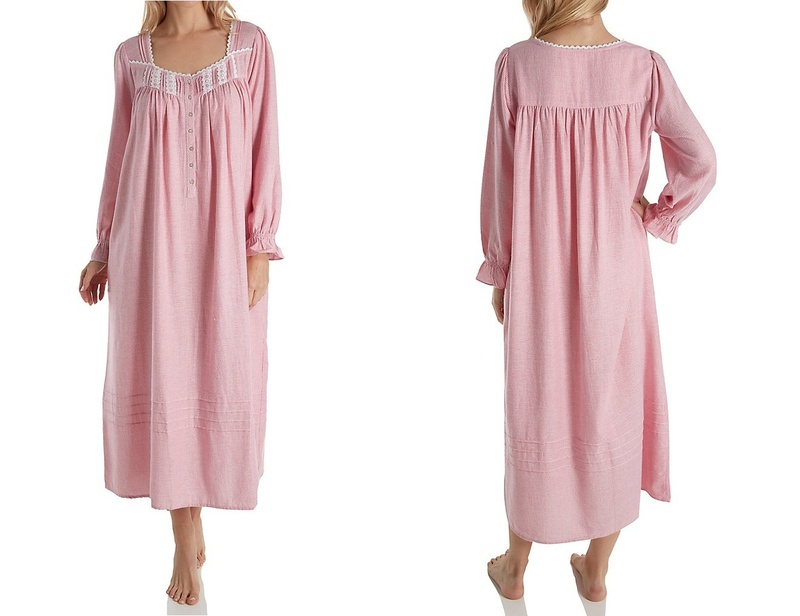 There’s a great variety of nightgowns for every preference – There are options a-plenty when it comes to flannel nightgowns and the best part is finding a style and color that suits your personality.